Is it Time to Look Outside the Box? The Australian business sector has always been a large proponent of export in response to the size of the domestic market. As traditional export markets continue to reel from the lingering affects of the Global Financial Crisis, Australian businesses are increasingly looking to China for opportunity. This was further highlighted this week by the announcement of the Free Trade Agreement (FTA) between China and Australia. In response to this trend and in the lead up to the FTA the HR Coach Research Institute commissioned a report to explore China as an export market. 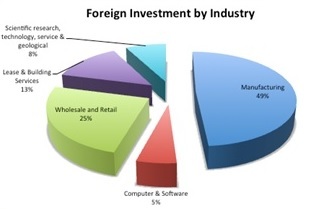 The report was designed to outline considerations for foreign investors looking at establishing a presence in China. Over the years we have come to learn that SMEs in Australia are heavily relationship focused. This can sometimes be at the sake of systems and processes. This can place pressure on the business and put both the international and domestic operations at risk. This report is designed to inform business owners and managers of the major considerations of establishing a presence in China. An Export Ready Planning Guide for key employees has also been included to help in this process.